Performance and interview, with the journalist Andrea Carpi. 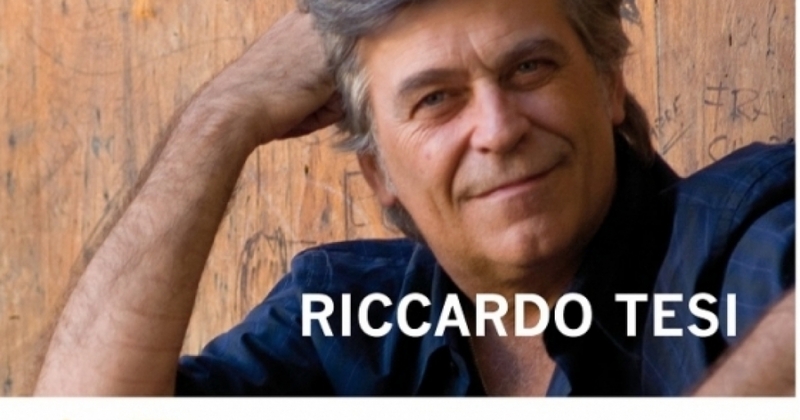 Riccardo Tesi. A composer, an instrumentalist and a researcher: these are the aspects of the complex and multifaceted musical personality of Riccardo Tesi, a true pioneer of ethnic music in Italy. From his debut in 1978 with Caterina Bueno, strongly rooted in the folk tradition, to the present day collaborations, the musical curriculum of Tesi, born in Pistoia, is characterised by a precious continuity based on eager passion and curiosity that have led him to compare his Tuscan heritage to the Italian, Basque, English, French and Madagascar traditions, as well as to jazz, liscio (Italian popular dance music) and songwriting. His instrument, the diatonic accordion (melodeon), is an example of perfect symbiosis with his conception of memory. For the first time in Italy, he even dedicated a whole record to this instrument, a forerunner of the accordeon. What is amazing about Tesi is his easily recognizable style, allowing his concertina to speak both an archaic and modern language, widening the vocabulary and the technique of an instrument for a long time preserved as part of a traditional heritage. A brilliantly outdated choice that places Tesi, thanks to his lyrical and virtuoso skills, among those who have brought the accordeon and all the instruments alike back to their dignity all over the world. In this respect, in 2002 he was given the “La voce d’oro” prize in Castelfidardo. Vincenzo Zitello, flat-picking guitarist Beppe Gambetta, ethnic jazz musician Daniele Sepe, and great Italian songwriters or singers such as Ivano Fossati, Fabrizio De André, Ornella Vanoni, Gianmaria Testa, Giorgio Gaber and Carlo Muratori. In 1992 he founded Banditaliana, at present rated as one of the most important groups in the international world music scene. As separate chapters, Tesi has released two concept recordings designed to rework specific musical heritages. The former, “Un ballo liscio”, focuses on the world of Italian dance music and offers a rigorous and unprejudiced view on the most underrated Italian musical genre with the aid of a multi-ethnic orchestra composed by folk, jazz, classical and dance musicians. The latter, “Acqua, foco e vento”, released in 2000 in collaboration with Maurizio Geri and a tentet including some of the most important musicians in the Italian world scene, is dedicated to the traditional music from the Pistoia Apennines. In 1996, upon commission of the French Ministry of Culture and the “Le Grand Soufflet” festival, Tesi composed the music of “Viaggio in Italia” for an eighty-piece orchestra. In 1997, on occasion of the Folkermesse Festival in Vercelli, he arranged and conduct “Transitalia”, featuring Elena Ledda, Lucilla Galeazzi, Daniele Sepe, Carlo Muratori, Tenores di Bitti and others, under the direction of Moni Ovadia. In 2001, as a resident composer, he wrote “Flatus Calami” for the festival of Scapoli (Isernia), placing emphasis on the zampogna (a sort of bagpipe). This work was recorded on the Cd bearing the same title. In 2002 he composed the music for the opening ceremony of the Tour of Italy in Groningen (Netherlands), arranged by Mirko Guerrini and played by a 100-piece orchestra. In 2001 the Culture Office of the Province of Pistoia appointed him as musical director of the “Sentieri acustici” festival, taking place in the most attractive places on the Pistoia Apennines. Since 1980 Tesi has devoted himself to teaching, searching for an adequate pedagogic approach to popular music instruments, with specific regard to diatonic accordion (melodeon), about which he wrote, together with Roberto Trombesi, the first Italian handbook, “L’organetto diatonico”, published by Bèrben.